Paul Jordan :: KING OF THE CASTLE! Castle Retreat was again very brave at Ascot. He jumped quickly from the barriers and took control of the race. He then quickened just on the point of the turn and had the rest of the field off the bit. He managed to run to the line with a good break in excellent time, breaking 58 seconds for the 1000m. It was a great ride by Chris Parnham. 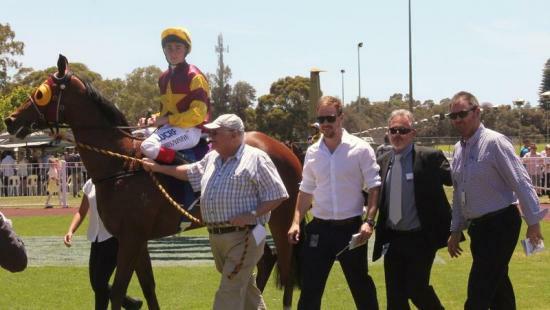 The photo is of Castle Retreat coming back to scale with a merry bunch of owners!